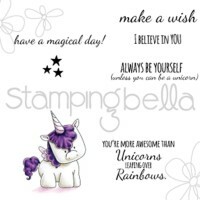 These fun dies will inspire you to create cute crafts! This 5x6.5 inch package contains four dies. 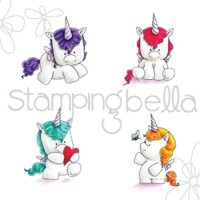 Design: Set of Unicorns and Coordinates with Stamping Bella Cling Stamp-Set Of Unicorns . Made in USA.